Severe Weather will be possible across parts of the South on Thursday. Although, Alabama is not in the direct cross hairs of this Severe Weather event, our neighbors to the west will be. 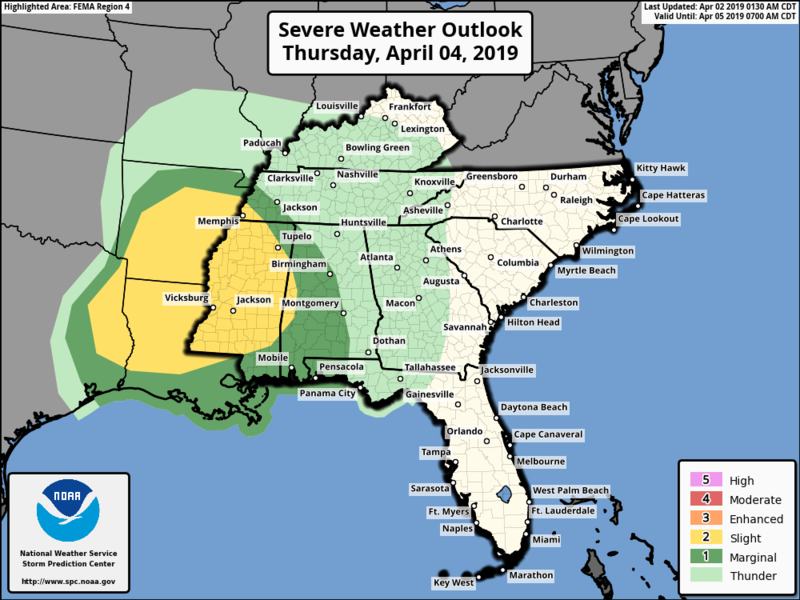 At this time, The Storm Prediction Center has a large area of the Lower Mississippi Valley under a “Slight Risk” (2 out of 5) for severe weather on Thursday, April 4, 2019. 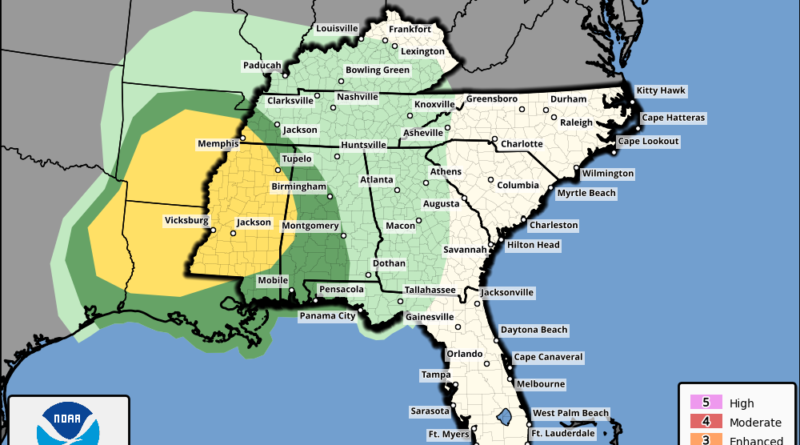 Parts of western Alabama are in the “Marginal Risk” (1 out of 5) for some strong to severe thunderstorms on Thursday, with the rest of the state forecast for general thunderstorms. Temperatures are forecast to warm into the 70’s across the outlook area and the latest model guidance suggests thunderstorm clusters will be the predominant mode early within the warm advection regime. With plenty of shears available, this should give way to seeing some isolated supercell thunderstorms on Thursday. Right now, it looks like hail with be the biggest threat. 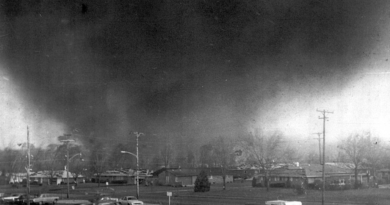 But of course, with any kind of Spring weather event, and available shear, a few Tornadoes could be possible. Be sure to follow our Facebook page for the latest updates.